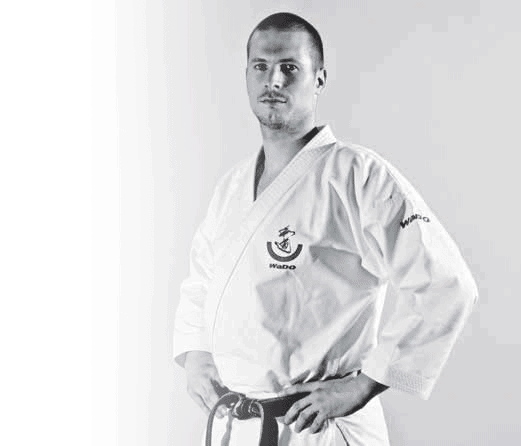 AJ van Dijk is a teacher, Chief Instructor of Wadokai Holland and Kenshinkai Kobudo Europe, founder of The Digi Dojo and published author of several books such as Wado No Michi, Wadokai Karate Special Edition and Kata Applications and Analysis. Over the last 20 years, AJ has become internationally regcognised Wado and Karate instructor to beginners, advanced students and instructors - reaching Karate enthusiasts worldwide through internet and up close in person at international seminars. AJ’s mission is to help Karate students and instructors understand and implement simple yet extremely powerful Key Points and Training Methods that can unlock shortcut-like growth and get you to the next level without wasting time, money or theoretical overwhelm. His unique and holistic approach combines traditional training with cutting-edge training methodology, leveraging fun and illuminating experiments with effective and straight forward Training Methods. When not training, teaching or being busy with Karate, AJ is interested in science, enjoys spending time with his wife and son and binge-watching Netflix series while secretly still thinking about Karate.